It’s almost the end of another year. I have had 16,697 days during the course of my lifetime to get things right. I haven’t. Am I going to spend the last couple of days of this year wishing I could do things differently? Nope. Been there. Done that. Instead, I am going to focus on the good things of this year and the even better things that will happen next year. I am not trying to gloss over the not-so-good things that have happened. Why? Because those things have happened, I’ve learned from them, and I am ready to move forward. If I spend time worrying about what I did, I will miss out on new opportunities. I’ve already been here for a lot of days. I want to make good use of the ones I have left. At the beginning of 2014, I thought about all the things I wanted to accomplish. Some were personal; some were professional. I have spent a large part of my life thinking that I can always do better. I am always wanting to improve who I am and what I do. Not much has changed in that sense. I want to do better. I want to be better. I AM better than I was this time last year. I WILL be better than I am this time next year. Self-improvement is a continuous process. I can’t stop. I won’t stop. This time last year, I was a high school English teacher as well as the varsity swim coach and the student council adviser. I went to work each day hoping to teach some English lessons and a lot of life lessons. I wanted to do the same with the extracurricular activities for which I was responsible. As a teacher and coach, it was my duty. A duty I took seriously. Now that I am no longer those things, I cherish the times I had with my students. I would like to think I taught more than English. They also taught me a good bit. Being a teacher and a coach defined most of my life. Most of my waking hours were spent at the school teaching, meeting, advising, and just being. My away from school hours were spent preparing for the hours at the school. There wasn’t much to my life outside of the school. At the time, I was okay with things being that way. Now, I wish things had been different. I don’t mean I wish I wasn’t a teacher. I just wish that I had balanced more of Leslie with Ms. Fagin or the Faginator as some of my students called me. 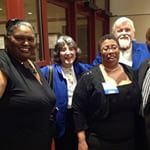 As the year progressed, I became more involved with the Alumni Association at my college alma mater, the University of West Georgia. I graduated from UWG for the first time in 1992 and the second in 2003. In the early years, I had other commitments, so I was not involved with the Alumni Association. On a whim, I decided to apply for a seat on the board. I was accepted and have enjoyed every moment since. This is probably the first thing that I have done that is just for me. I am not a teacher, a Scout leader, a 4-H volunteer, club adviser, or team coach. I am Leslie Fagin, graduate, giving back to my university. As a board member, I have the awesome opportunity to serve ice cream to incoming students and their parents during Summer Orientation. Serving ice cream allows me to think back to my times at what was then West Georgia College with an enrollment of a little more than 6,000 to what is now the University of West Georgia with an enrollment of more than 12,000. I remember my days, the friendships made, the lessons learned, the opportunities taken and the opportunities missed. Serving ice cream connects me with the new students and allows me to remain a part of the history of the University for just a little longer. I also have the honor of helping to plan Spring Alumni Weekend events and Fall Homecoming Week events. Although I am really a baseball fan, I have enjoyed fall at West Georgia. The Alumni Association hosts a tailgate before each home football game. I don’t make all of them, but the ones I have attended have been refreshing. I have had conversations with members of the Blue Coats. The Blue Coats are the ambassadors for the University. They are well-rounded students who went through a stringent vetting process in order to represent the University at various functions. I love talking to them. 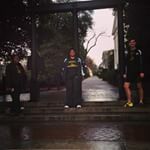 They are in awe of how much things have changed since my time on campus. I also get to speak with alumni who graduated from our school long before I was ever born. I like hearing their stories. Our stories may be different, but we have a common bond. We love the University, regardless of the name on our degrees. As 2014 progressed, so did I. The opportunity to apply to present at a conference was given to me. Most won’t believe this, but I do not like public speaking. I get incredibly nervous, don’t sleep the night beforehand, and cannot eat at all for fear of not keeping food down. However, I do it because the profession I was called to do requires it. Okay, maybe required isn’t the right word. Speaking in front of my students was not hard. Speaking in front of adults is. When the Georgia Department of Education put out a call for proposals for the Summer Academies for English Language Arts, I worked with two colleagues and put in a proposal. After presenting our proposal in front of members of the Griffin RESA, we were accepted. My team agreed that we would present at two conferences. The first one was at Kennesaw State University and the second was at the Coastal Georgia Center of Georgia Southern University. Of course, I was incredibly nervous, but we did well. Until I presented at the conferences, I did not realize that I would like presenting. While presenting, I felt a sense of validation that I had not felt as a classroom teacher. I loved teaching, but rarely did I get immediate feedback nor validation. As a presenter, I got both, and I liked it. A lot. About the time of the conferences was when I realized that I needed to make a move professionally. I did, and that’s how I became an Instructional Technology Coach for my local school system. My world is different now. It’s a good different. I am getting the validation that I was not getting as a classroom teacher. My need for validation is probably because I am 45 years old and spent a large part of my life taking care of others. I am now taking care of me. I am getting to go to schools and train teachers on using technology. I do social media. I do conference presentations. I judge FIRST Lego League competitions. I work with students during the Hour of Code events in our district. I create, collaborate, communicate, and critically think. In doing those things, I am taking care of me. It’s different, but it’s good. I can see me doing this for a while. What’s ahead? Who knows. There are so many things on the horizon. I am going to dig deeper into the world of Google. 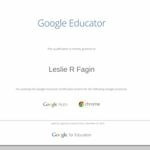 I completed the Google Educator course a couple of weeks ago. 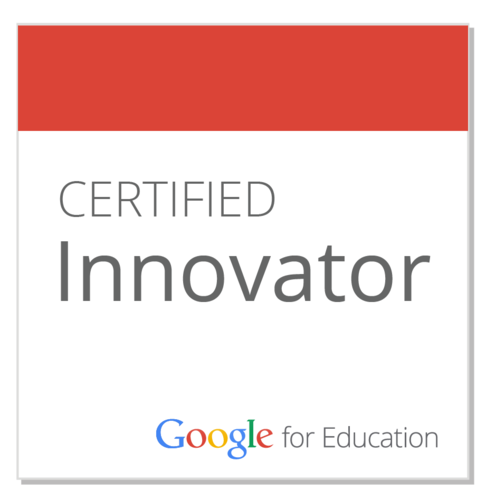 I want to apply for the Google Teacher Academy. I also want to attend a Google Summit this coming up year. I am presenting at the Georgia Council of Teachers of English Conference in February. 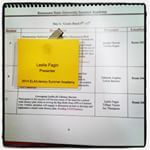 My topic is digital storytelling. I have recently discovered that I like photography. I want to use that love as a basis for future conference presentations. Technology and photography go hand in hand in my world. I am going to share that love with Georgia teachers. Our students have stories to tell. We just need to give them a voice. 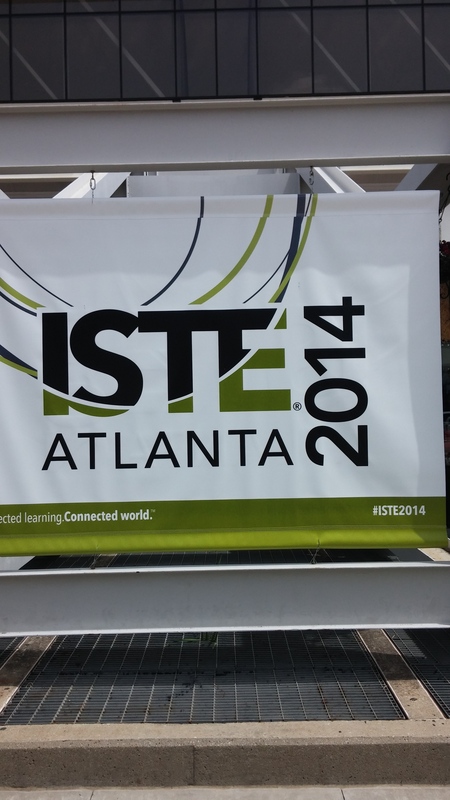 My big deal next year is ISTE, the International Society for Technology in Education conference. I attended for the very first time this past summer. It was a technology nerd’s dream come true kind of place. In 2015, it will be in Philadelphia. I’ll be there AND presenting there with my friend and co-worker Robin. Getting notification that our proposal was accepted was absolutely incredible. There was such a high that night. I was all over Twitter and Facebook sharing the news. Right before bed, it hit me. I was going to be presenting at the biggest technology conference in the world. Me. Leslie Renee Fagin. The little shy girl who doesn’t like public speaking will be speaking at an international conference. I couldn’t help it. The tears just flowed. I am excited, nervous, and also thankful. I am curious to see where my path will go in 2015. I do know I will learn more, share more, and get out more. Diary of a Not So Mad Instructional Tech Coach by Leslie R. Fagin is licensed under a Creative Commons Attribution-NonCommercial-ShareAlike 4.0 International License. Permissions beyond the scope of this license may be available at leslie.fagin@gscs.org.